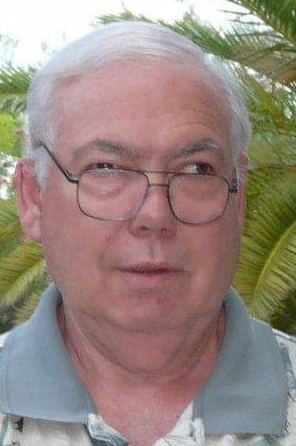 Obituary for James "Mike" Bowser | Esterdahl Mortuary and Crematory, Ltd.
James “Mike” Bowser, 67, passed away Thursday, March 28, 2019, at University of Iowa Hospitals and Clinics. Celebration of Life services will be held at 4:00 p.m. to 8:00 p.m., Thursday, April 4, 2019 at the Viking Club, Moline. Memorials made to the donor’s choice. Mike was born on July 24, 1951 in Kingsport, TN, the son of James and Stella (Gilreath) Bowser. He married Bonnie S. Beckman in Rapids City, IL on September 2, 1969. Mike was a bar manager at the Viking Club in Moline. He was an avid bowler, Cubs fan, loved to cook and watch Law & Order. Most importantly, he will be remembered for his selflessness and how important his family was to him. Survivors include his wife, Bonnie, children, Jennifer Bowser, Davenport, IA, Josh (Missy) Bowser, Bolingbrook, IL, Christy (Jason) Minor, Brush Prairie, WA, Linn (Lars) Dolp, Hanover, Germany; grandchildren, Aiden, Hailey, Holly, Lacey, Alexis, Blake, Lillie, Logan, Macey, Landon, Miley, Cassidey, Canon, Beckman, and Leisel. He was preceded in death by his parents, and son, Ryan.